Aralia, which has the scientific name Aralia racemosa, is endemic to the eastern United States, Bhutan, China, northern India, Japan, and Nepal. It belongs to the Araliaceae family of ginseng and can also be called American spikenard, Indian spikenard, musk root, valeman, balchadi and jatamasi in Hindi, and gan song in Chinese. In the Old Testament of the Bible, aralia has been said to be one of the main ingredients in the incense that was burned in the holy temple of Jerusalem. In Islamic traditions, aralia was written as the forbidden fruit that Adam partook of in the Holy Garden of Eden against God’s wishes. Medieval Europe saw aralia as a main addition to the spice blend that makes up hypocras, a sweetened wine drink. Native American tribes, on the other hand, have been using it for its medicinal purposes, which include repelling fleas, giving it the moniker fleabane. Aralia has anti-inflammatory properties. It can help ease burning sensations and pain caused by inflammations in the body. Aralia has adaptogenic properties. This means that it can help regulate blood pressure. Aralia is good for addressing motor-control issues. It alleviates the symptoms of epilepsy, seizures, and vertigo. Aralia has antiseptic properties that make it good for addressing skin conditions. Aralia is good for the nervous system. It helps address neurological disorders and mood issues such as Alzheimer’s disease, convulsions, depression, dizziness, epilepsy, headache, hysteria, and stress, and improves cognitive functions. Aralia is good for the cardiovascular system. It can help reduce the risks of incurring atherosclerosis and other heart ailments. Aralia is good for both the male and female reproductive systems. It can help address sexual inadequacies and correct impotence. It also does away with amenorrhea, promotes menstruation, and provides a cleaning effect to the uterus. Aralia is good for the circulatory system. It takes care of kidney issues and stimulate the proper production of urine. Aralia is good for the digestive system. It prevents bloating and gastritis, which is an inflammation of the stomach lining. It also alleviates symptoms of problems in the digestive tract and can be used to treat constipation, flatulence, and indigestion. Aralia is good for the respiratory system. It relieves coughs and asthma. Aralia is good for the excretory system. It can prevent the onset of hepatitis and liver enlargement. 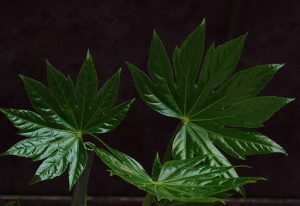 Aralia, which has a licorice-like flavor, is often used as a substitute for sarsaparilla, which is a kind of soft drink that is made from the Smilax regelii plant. It can also be taken as a tea. Aralia, however, cannot be ingested by pregnant women or lactating mothers. Aralia is good for the nervous, cardiovascular, circulatory, digestive, respiratory, excretory, and the male and female reproductive systems. Aralia has anti-inflammatory, adaptogenic, and antiseptic properties. Aralia is good for addressing motor-control issues.